Director Dante Lam has been on my radar for some time. Although I found Beast Hunter to be both too gritty and melodramatic there were some strong action set pieces throughout. Then Fire of Conscience blew me away with one of the best ever close-quarters gunfights I have ever come across. A couple of years ago he directed Operation Mekong, which was a sublime action film, and now comes this, his magnum opus. The film kicks off with what must be a regular occurrence in the Red Sea - a container ship being over-run by pirates. We cut to the chase and join the Marines already prepped and ready to breach. The scene is set to show off the technical skill of the team as well as the director as we are treated to an awesome slow-motion shot with the camera seemingly catching all of the action simultaneously. One of the things that sets this film away from just about anything else is that these Marines are a cohesive unit who trust each other completely. There is never any bickering, no personal issues, no questioning orders in the heat of battle. There is a female member on the team, Tong Li (Luxia Jiang) and there is never any mention of her gender. What's more, she's the one carrying the heaviest caliber machine gun. Even when the team has to take on board a new member after the pirate mission, the personal drama is kept relatively low key. The other thing which sets Operation Red Sea apart from everything else out there is the action. Oh boy, the action. That opening scene with the pirates turns out to be just the appetiser to whet our appetite for what is to come. Everything is orchestrated so well, with practical effects blending very well with some CGI squibs and explosions that would keep the likes of Renny Harlin, McG and Michael Bay awake at night. There's a particular shot of a tank shell fired through a crowd of badguys, all in slow motion, which is just stellar. There are five main set-pieces, which are just massive in terms of scope and execution, each one building a unique blend of tension and excitement and dread. As well as the big firefights there are two excellent sniper sequences to vary the pacing. Along with the cool explosions and shootouts, Dante Lam is keen to show the consequences of such action. You can expect to see a lot of bodies, some still twitching, their legs and/or arms blown off. A particularly nasty moment happens when a bus full of civillians is hit with a mortar. One of the soldiers jumps on board to check for survivors and is met with wall-to-wall minced meat. If this was an American film, when the chips are down, you'd expect the characters to start taking individual actions to be a hero. However the film has already shown in the pirate mission what happens to would-be heroes - they die heroically. You have no idea how refreshing this scenario is, to see a team acting as…well, a team! Like Operation Mekong, this film is loosely based on a real life event - the evacuation of over 600 Chinese civilians from Yemen last year. You may expect a film such as this to be packed full of nationalistic jingoism and propaganda material but that is actually kept very low key. Yes, there is a political message underlying this film but it isn't one you might expect. Like Wolf Warrior 2 before it, the message here is that China will protect its citizens, regardless of where they are in the world. And to that effect, the film ends with an international hotline to call in an emergency. 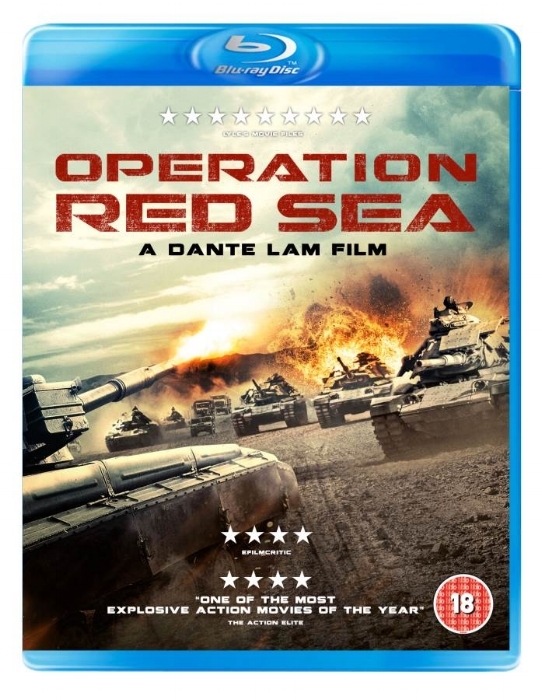 I've watched Operation Red Sea twice, the second time reaffirmed my initial opinion that this is one of the best films I've seen this year. Dante Lam has been on a serious streak of late, and I cannot wait to see what he comes up with next.